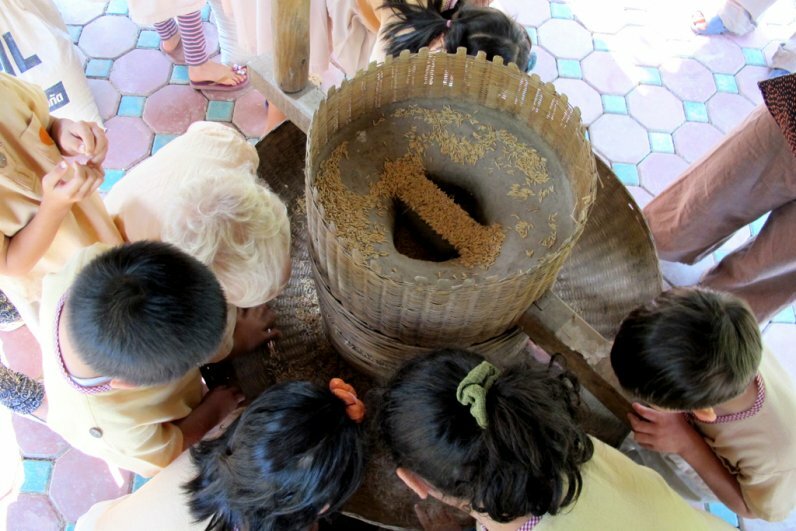 With a heave and a push, Panyaden’s Kindergarten 2-3 children helped each other grind rice grains between heavy milling stones. 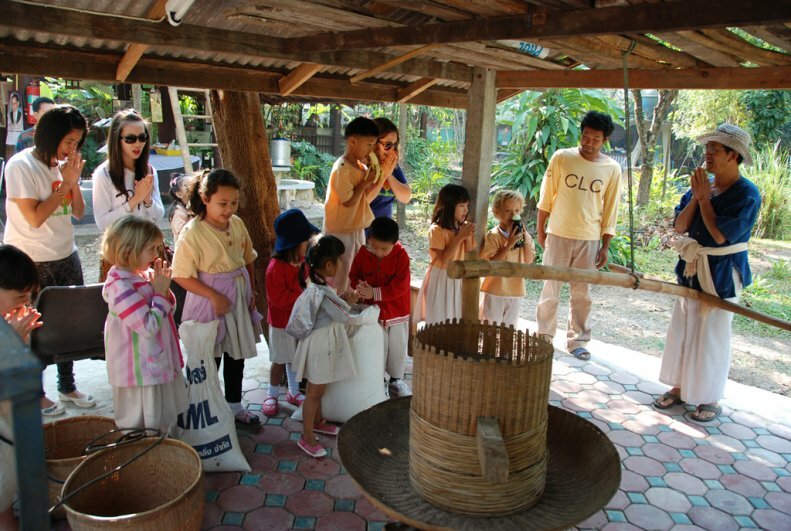 They were having fun learning about rice milling at the United Way Center (sic) for Sustainable Communities. 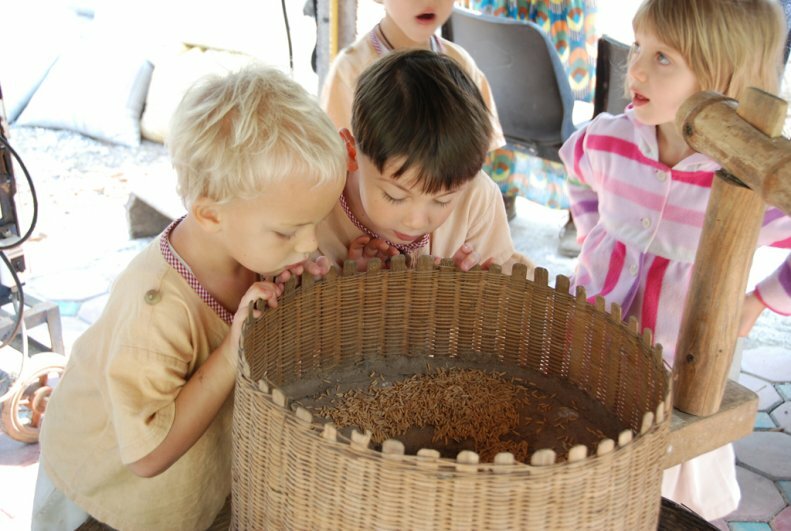 This trip to Lamphun was a culmination of our Sustainable Crop programme where the children learnt hands-on the whole process of rice production before it ends up as steaming bowls of cooked food on our tables. 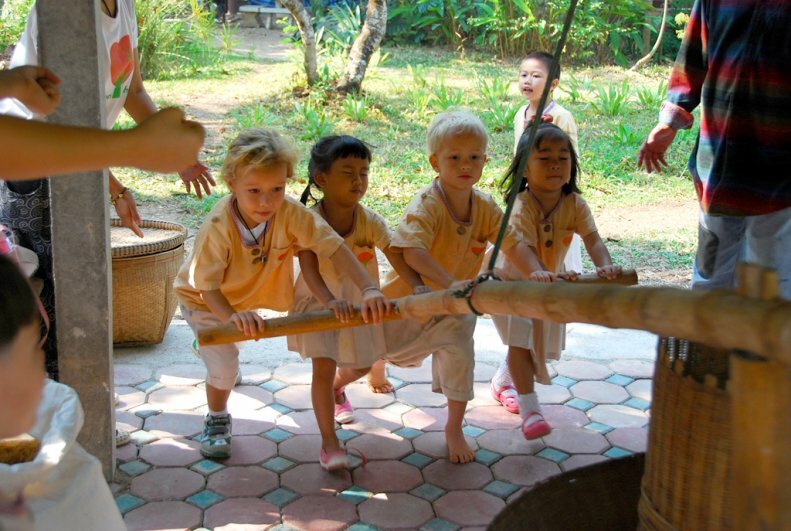 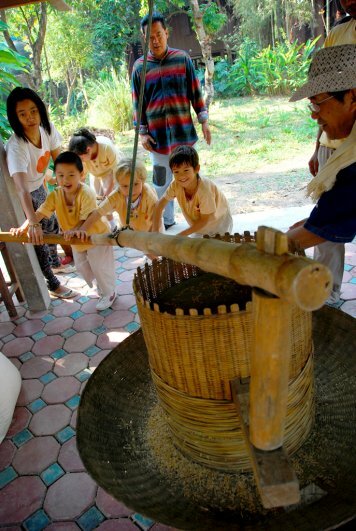 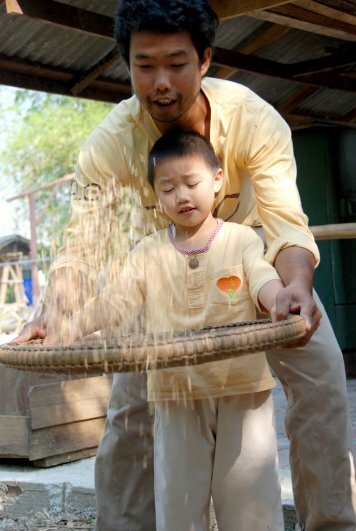 There were shrieks of laughter as our children first tried threshing the rice grains by throwing them in the air with a simple basket without dropping any. 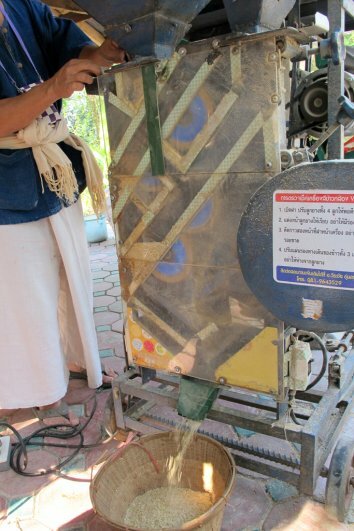 They also saw how this labour-intensive process could be helped along with a milling machine. 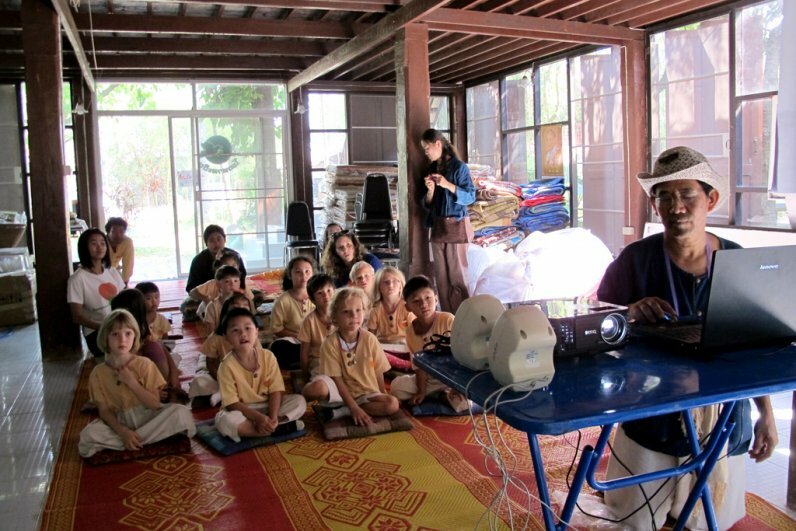 Finally they all sat down to a well-deserved rest and a video about the history of United Way which is owned by the Chaiwana Foundation (ศูนย์ฝึกสหวิถีเพื่อชุมชนยั่งยืน โขงสาละวิน มูลนิธิไชยวนา จ.ลำพูน). 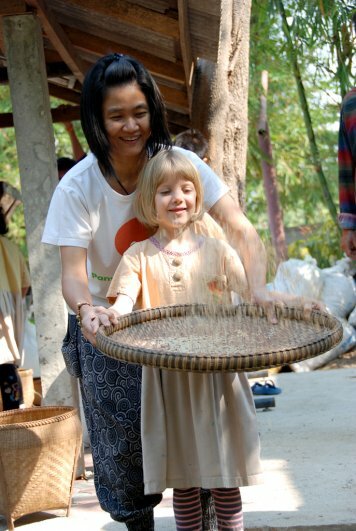 The Foundation aims to help Thai farmers to be self-sufficient by growing sustainable crops like rice, vegetables and animal husbandry. 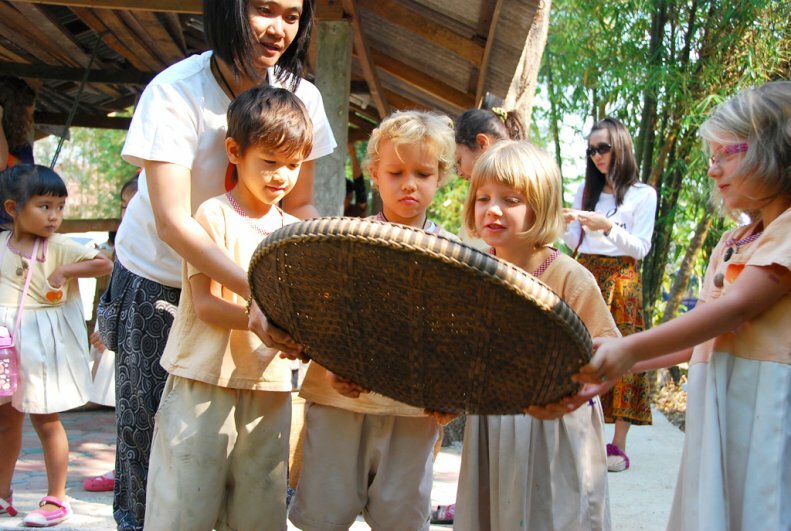 More photos here on Panyaden image gallery. 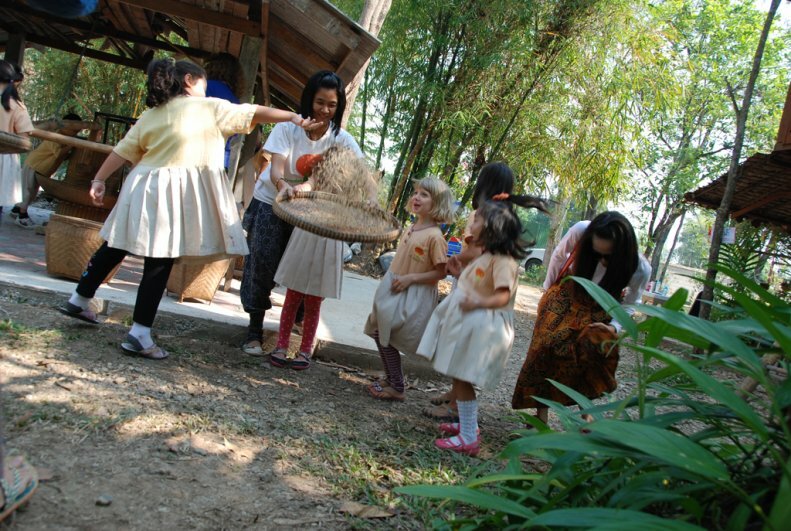 This entry was posted in Featured Posts, School Curriculum and tagged fun learning, Panyaden, Panyaden kindergarten, students.